Whether you have recently been in a car accident or are suffering from chronic pain related to injuries you sustained in a past accident, chiropractic care can help you recover in a quick, natural way with results that really last. Even if your car didn’t get too damaged in an accident doesn’t mean that your body didn’t feel the effects. If you are experiencing any of the following problems, call us right away to schedule an appointment. Or if you’re just not feeling yourself, we can help you recover. 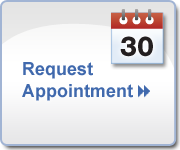 Schedule with us today and get a free massage with Lynnwood Family Massage! Save time by filling out the intake forms before you come in!